Small business accounting can be a time consuming task. As one of the most important aspects of running a business, accounting tasks need to be accurately completed to help guide many decisions a small business owner faces. Inventory, accounts payable, accounts receivable, financial statements and reports about the success of a business allow a business owner to properly invest and plan for the future. 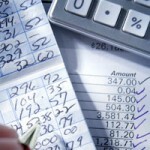 We offer complete accounting and small business bookkeeping services to East Valley clients in Arizona. For over 30 years, small businesses have trusted their business bookkeeping needs to G.A.C. tax. Our solutions are customized to suit the needs of the small business owner with information and reports presented in an easy to understand format. Our small business bookkeeping services range from tracking inventory, sales and liabilities to filing sales tax reports and maintaining compliance with federal and state tax laws. Call Norris today to find out how G.A.C. tax can solve your small business bookkeeping needs. 480-812-1523.